Professional talent acquisition and career development firm Mom Corps has announced the launch of Mom Corps YOU, an online support community that offers weekly resources and tools delivered from leading speakers, authors, and experts. 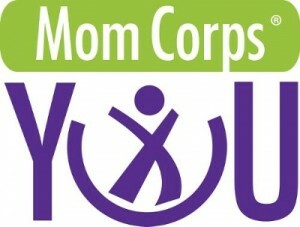 Mom Corps YOU offers a live, biweekly webinar and chat series that includes NBC’s Financial Editor Jean Chatzky; ABC contributor Tory Johnson; Founder of the Atlanta Center for Holistic and Integrative Medicine Dr. Taz Bhatia; Lee Woodruff, co-founder of the Bob Woodruff Foundation; Career Expert Samantha Walravens; Jennifer Owens, editorial director for Working Mother Media; and Lisa Belkin, senior columnist for The Huffington Post. Membership brings access to career experts who discuss and share best practices on topics such as how to relaunch a career, building a personal brand, career-focused social media strategies, and others. Mom Corps YOU is available through an online subscription at a monthly $19.99 charge or annually at $149.99. In addition to the twice-weekly live events, subscribers have access to additional content including: on-demand, live chat coaching sessions with Mom Corps recruiters; fireside chats with Mom Corps Allison O’Kelly; self-guided training modules, templates and tutorials; and e-books, whitepapers, and slideshare presentations.